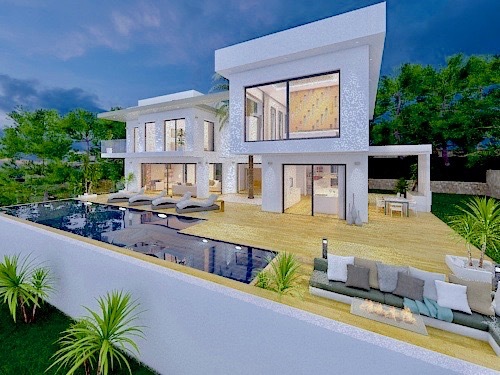 Javea Modern New build villa for sale. 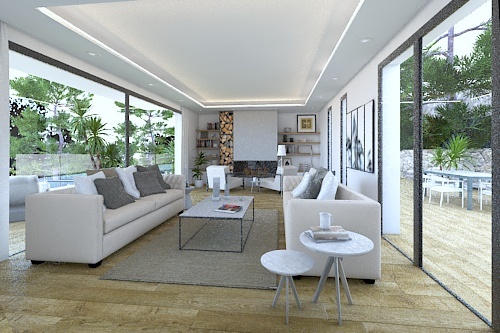 Fabulous Luxury new build villa located in a very peaceful area with lovely open views towards the Montgo mountain, now under construction and complete before the end of 2019, the design incorporates both modern and traditional luxury styling throughout. Built on two levels and with a total of 4 bedrooms and 3 bathrooms and a separate guest toilet, large open plan living and kitchen area, leading to spacious terrace and pool area, low maintenance garden with mediterranean plants and trees, the entrance will have with electric gate and completely fenced all round. extras include: Underfloor heating in all rooms with independent controls, hot & cold air conditioning in all rooms with independent controls, alarm, fitted wardrobes, Full specification available upon request.